Today Google has interesting doodle ~ on what would have been his 78th birth day. I do not expect any of my friends to respond saying ‘I watched that match in Chennai in Jan 1964 (another Pongal test ! )’ – a drawn match when India made 457/7 decl & 152/9 decl – England 317 all out and 241/5. .. . .. and to those following Cricket, how many of the following names you know to have played for India in that Chepauk Test. Team India : Openers VL Mehra & Buddhi Kunderan (wicket keeper); Dilip Sardesai; vijay Manjrekar (father of Sanjay); MAK Pataudi ©; Salim Durrani; ML Jaisimha; AG Kripal Singh (from Tamil Nadu); Chandu Borde, Babu Nadkarni, VB Ranjane. The man represented in Google made his presence in a big way. Vinoo Mankad’s 184 at Lord’s in 1952 had remained the highest score on foreign soil for 19 years — till Sardesai scored his famous 212 (at Sabina Park, the same ground where Indians were bloodied in 1976) ; it was the first overseas double-hundred by an Indian. He scored 150 later that series at Kensington Oval, thereby becoming the first Indian to score two overseas 150s. surprisingly, with scores of 212 at Kingston; 112 & 3 at Port of Spain; 45 at Georgetown; 150 & 24 at Bridgetown; 75 & 21 at Port of Spain – he was only second best – Sunil Manohar Gavaskar arrived on the scene in a sensational manner taking away the limelight !! Sardesai ended up making 2001 runs in 30 tests with average of 39.23 and 5 centuries to his credit. 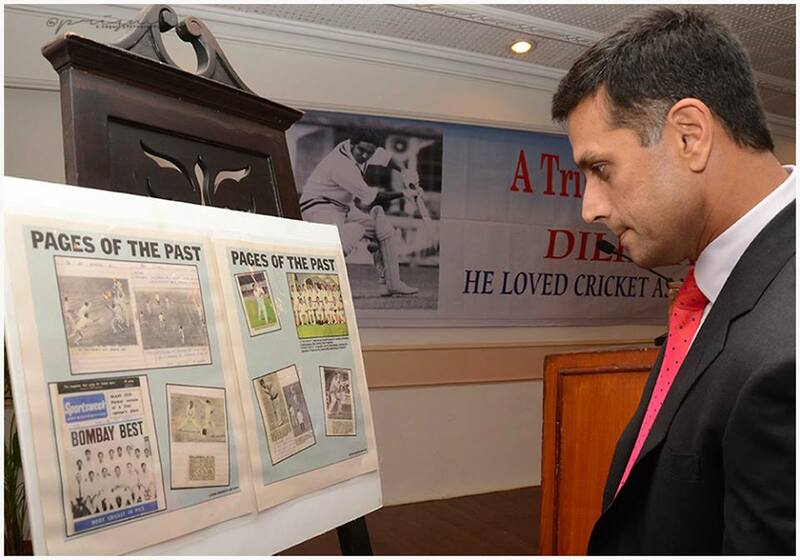 The man responsible for the Renaissance of Indian cricket' is what Vijay Merchant hailed him. Dilip Narayan Sardesai's exemplary role during the India Rubber Year of 1971 needs to be understood fully by all cricket fans. That knock of 212 would remain a watershed innings in the annals of Indian Cricket. Cricinfo writes that Indian cricket, till that day in February 1971, was a sad tale of defeats and disappointments. In the period 1932-1970 India played 116 Tests and won only 15 of them. Now if India is playing with pride in foreign soil, the origin of the great turnabout was enacted at Sabina Park and the author of the dramatic tale was the 30-year-old batsman from Bombay. The 1970-71 West Indies tour was the last chance for Dilip Sardesai. He was lucky to be picked - it had looked as if his career was dead and buried - he went on to be Indian cricket's Renaissance Man in the watershed year of 1971. A technically correct player, the solid, wristy Sardesai was proficient against spin, but in West Indies he showed his mettle against pace, and pulled India repeatedly out of quicksand. He scored 642 runs, with two single hundreds and a double, and provided an inspirational launching-pad for a legend - Sunil Gavaskar, in his first series. In England later in 1971, Sardesai's pivotal double of 54 and 40 allowed Chandrasekhar to hasten England's defeat at The Oval. He had earlier scored one of India's fastest hundreds, against New Zealand at Delhi in 1964-65. Sardesai was a part of the Bombay Ranji Trophy team during their golden era. In Ranji Trophy he scored 3,599 runs at 54.53, but his real achievement lay elsewhere: of the 61 Ranji Trophy matches Sardesai played for Bombay, they did not lose a single match.